Are you new to bench pressing? Have you been benching for a while now and stuck at a plateau. Well in this post, I’m going to be going over a few ways that’s going to enable you to instantly increase your bench. First of all, it’s the way you arch your back. Don’t lay flat on the bench. Instead, you want to have your back arched. Have you ever wondered why you can lift more on incline benches more than the flat bench? It’s because with the incline bench, you don’t have to resist gravity as much. And the arch is one way to replicate that incline bench. Next, you need to understand how to correctly grip the bar. I want you to wrap your fingers around the bar and make sure you’ve wrapped your thumb around it as well and then squeeze as tight as you can. This will instantly allow you to bench more. 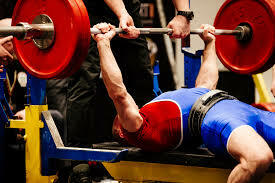 One of the ways you get injured by benching, is by not using your wrist correctly. Never bend your wrists on the bench, this is a sure way of injuring yourself. Instead, you’re going to want to keep wrists straight and locked in that way. One of the ways you injure your shoulder and elbows, is by gripping the bar too far. What you’re going to want to do, is grip the bar as close enough together as you can in order for you to tuck in your elbows. This will take of the strain on your shoulders and elbows. Will bench pressing make you bigger? So you’ve been in the gym and noticed the big all love to bench press, and this got you thinking, “Does benching make you bigger”? Well that’s an interesting question and I’ll be answering that in this post. In short, yes, bench pressing can make you bigger. First of all, to get bigger, to put on weight and size, you must be eating more calories than your body uses. That’s the first step, if you’re not doing this, then you may as well forget about putting on weight. The next step is to make sure you’re breaking down your muscles fibres to ensure maximum growth and you’re actually growing muscle. This can certainly be done with the bench. Put on an adequate amount of weight on the bench and do as many reps as you possible can and do at least 3 sets. Between those set, have a 3 - 5 minute rest to make sure you’ve recovered your strength between each set. By doing this, you’ll be breaking down the muscle fiber in your chest and allowing it to rebuild even stronger. After you’re intense workout, make sure you get protein, carbohydrates, and fats to help with recovery. And throughout the rest of the day, make sure you’re eating the necessary amount of calories to put on weight. So that’s your answer. Yes, bench pressing can make you bigger if you do it correctly and eat right. Is it safe to bench press? So for a while I never wanted to bench press because I believed it would mess up your body. One day, when I was in the gym with my friend, he said “Let’s bench press!”. I was hesitant at first and tried to talk my way out of it but, he made sure I benched. So I got under the bar and started benching. First of all, I could barely bench the bar, never mind putting weight on it. After I struggled to get my last rep and put the bar back, I felt pretty proud of myself. I did a few reps and didn’t pop anything out. For now on, when it came to chest day, I incorporated the bench. A couple of weeks went by and my elbows started hurting, I already knew this was because of the bench. I mean… nothing changed in my routine except from the bench. You might have though I stopped benching but I wanted to carry on, as I enjoyed doing it. I did some research and looked into why my elbow was hurting and I discovered that I had the incorrect for. In order to fix my bench, I needed to stop flaring out my elbows and keep my shoulder tucked in. This was accomplished by holding the bar closer together. So at this point, I have got rid of that pain. The bench press is safe, if you do it right.